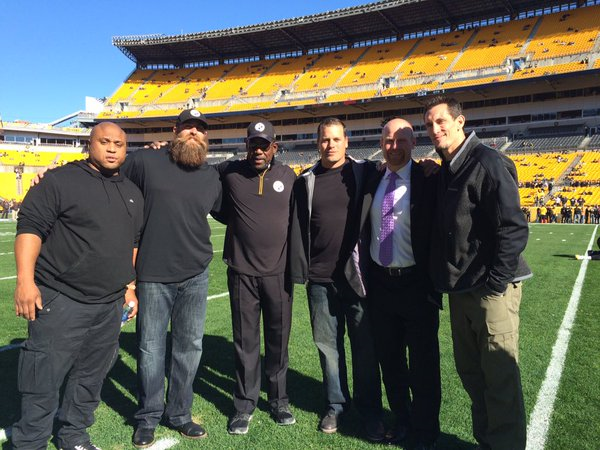 During halftime of Sunday’s game, the Steelers celebrated the 10th anniversary of Super Bowl XL. A group of alumni were on hand to be recognized and celebrate with the fans. If you missed it, you can watch HERE. 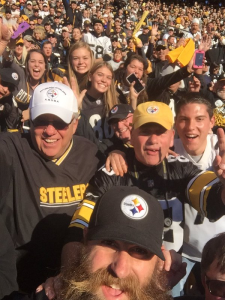 It was clear by the look in their eyes how much each player loved being back at Heinz Field in front of Steelers Nation. It was also clear by the roar of the crowd how much Steelers Nation loves and misses the players. 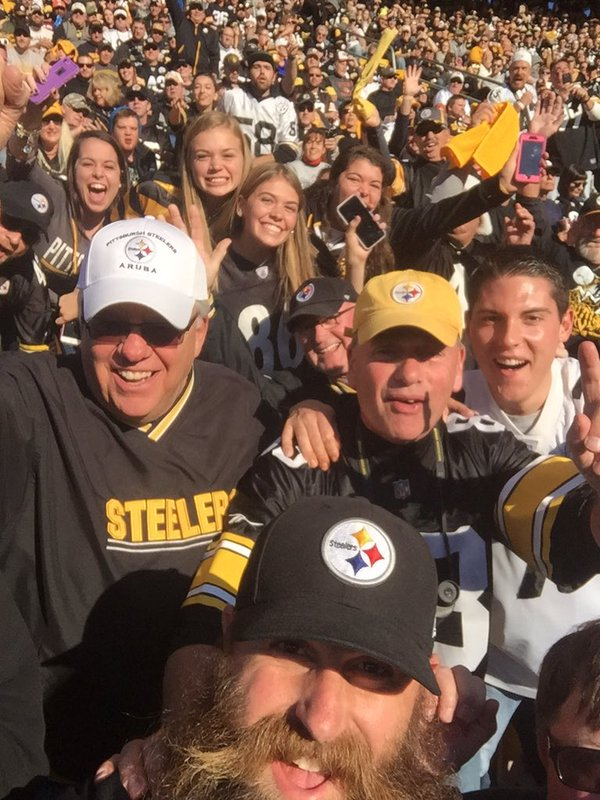 The Steelers defeated the Browns 30-9 to seal a great weekend for the fans and alumni. 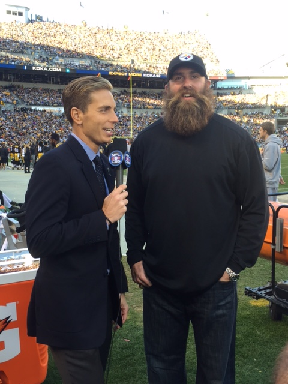 Most of us were shocked when Ben Roethlisberger took the field to replace injured Landry Jones. Ben was injured last week so he was not scheduled to play today…or so we thought. 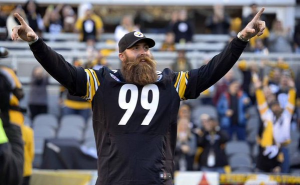 He came in and had a huge game, winning Player of the Game honors from Steelers Digest! **Of course, Brett was being sarcastic regarding the second sentence. 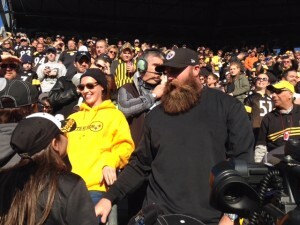 Many fans have emailed to thank Da Beard for visiting them in the stands. We will have MANY more photos and news so stay tuned!